Where there's baked bread, there's that great fresh baked scent that comes before it. The smell of yeast bread baking in the oven is amazing, with lots of old fashioned labor to accompany it. These days, it's not as difficult making loaves of bread with all of the gadgets that are available, but there's nothing like making your own fresh loaf with your God given tools, your hands. 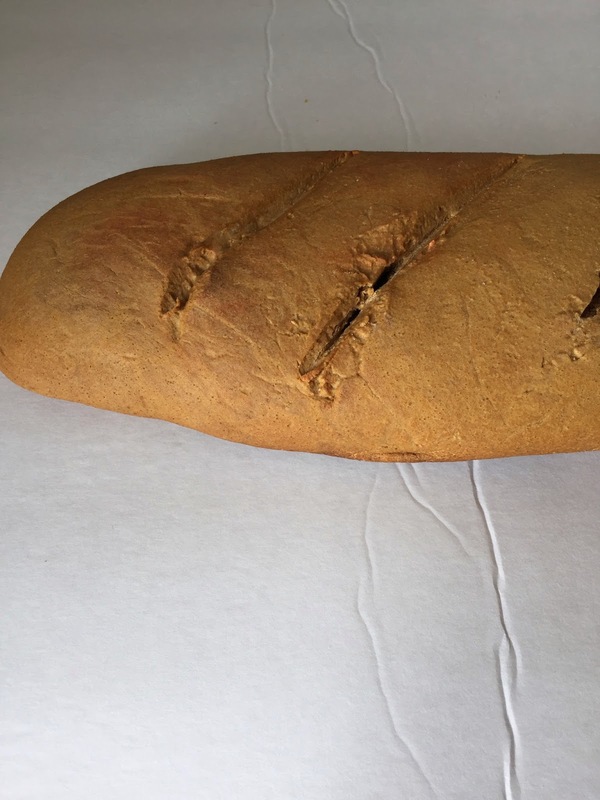 I'm always looking to those beautiful Artisan crafted loaves for inspiration for the fake bread loaves I sell in my bakery candle shop, and since bread comes in many shapes and sizes, I'm always finding something wonderful to spark creativity in my fakery. After peeking over at Wild Yeast Blog, I found bread heaven, so I started working on a few things that would be different from my other bread designs. Dark breads are rich in color, so I incorporated dark color into my original mixture. I had to be really careful with the coloring because I didn't want the fragrance of the bread to be altered. Also, I knew that my bread was going to get a bit darker in the oven than my what my dough looks like, so I decided to use a moderate amount of coloring in with an attempt not to add too much. My first step in creating a realistic bread loaf was to combine all of my dry ingredients and add just a bit of sugar for a carmelizing effect. The sugar won't hurt my bread because the ratio of sugar to the other dry ingredients is fairly small. Next, I mixed my wet with my dry and created a really sticky dough, adding more flour as I needed to lighten the color of my dough a bit after adding so much color (oops). After it was all done I was pretty pleased with the color. Here's my finished loaf. The scoring of the bread was something I decided to do at the last minute. I'm actually going to try some of the more creative scoring that's different from any of the other bread loaves that I've done. 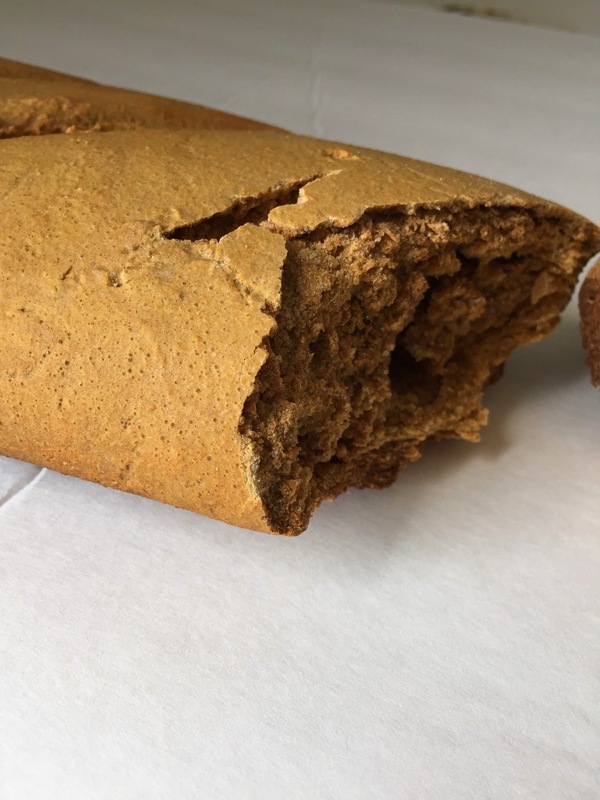 Bread has such a long history, and has metaphorical meaning for so many different things that I decided to use the biblical broken bread metaphor of the sharing of a meal. The bread, itself, has been broken so that it will look as if it's going to be shared. It doesn't have to be used for that expression; however, that was part of the inspiration behind it. Fake bread is one of my favorite things to make in my fakery because it's so versatile, and I don't think you could ever make all of the shapes and varieties there are available. All that's left for this guy is prepping and scenting, and it's off to be listed. What do you think?